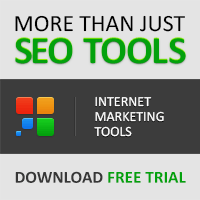 Want to improve your site's search engine optimization? Here are ten tips to do exactly that. One of the most important steps to SEO is to have a content-rich site. When it comes to SEO, content is golden. Of course, original content is best. It would be a mistake to think that your traffic will rise proportionately to the amount of content you have; it doesn't work that way. However, the best ranking websites do have plenty of content. Updating your content does not merely mean copying and pasting content from the article directories. This will probably only hurt rather than help your rankings. An occasional reprint article is fine, but most of the top bloggers in SEO experts try to avoid too much duplicate content. Likewise, don't spam the same content across your website either. 3. Use keywords in your URLs. A descriptive URL helps the search engines. A URL like mysite.com/articles.php?id=455 will not be as good as mysite.com/articles/articlenamehere. WordPress by default uses the title of each blog post as its permalink. 4. Keep the visitor in mind. Spend some time planning out your site's structure so as to make it as easy to navigate as possible. On WordPress, you can choose categories to help visitors find content they are interested in. For example, on my site I have such categories as iPhone and iPad Apps, Mac Models, Mac Software, SEO, Infoproduct Creation, Article Marketing and so on. Someone who is interested in a particular topic, such as iPhone and iPad Apps can view the appropriate category. 5. Avoid excessive outbound links. Avoid too many jumbled, disorganized links on a single page. Better is to split the links into different categories or sections. Too many outbound links can make your site look like a link farm and can actually drive down your search engine rankings. 6. Avoid linking to "bad neighborhood" sites. Linking to disreputable or unlawful sites could cause your own site to be blacklisted. Resist the temptation to link to such sites even if such a link seems to offer benefits. 7. Steer clear of adware and spyware. Never allow your site to be a home for adware or spyware. If your blog should be hacked - something that happens all too often these days - get it cleaned up immediately to stay in the good graces of the search engines. Keep your site clean and friendly to your visitors. 8. Avoid text cloaking or keyword stuffing. Don't try the old trick of placing text on a site so as to be visible to the search engines but invisible to the visitors. Search engines are getting a lot smarter these days - in some cases they can even rank the graphical information on a site. 9. Choose a reliable web host. It does you no good to have a great website that is often offline. 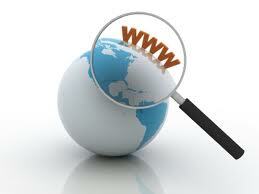 Therefore, choose a web host of greater than 99.5% uptime. You can check your SEO on the go with one of the many apps for the iPhone and iPad. For example, Scott Hendison's SEO Automatic evaluates all the top factors of your site's SEO. SEO Manager by at2 GmbH provides History graphs of your rankings, checks PageRank and analyzes your Competitors. SEO Pro by Benjamin Spiegel monitors Google Page Rank, Alexa Rank, Yahoo Inlinks, Yahoo Indexed, Compete.com Rank, URL Diggs and more. 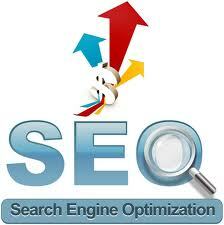 Follow these tips to greatly improve your SEO at minimal cost. About The Author: This article was written by Timothy Arends. You might get the impression that the Mac is the forgotten stepchild of the Internet marketing industry. But did you know that some of the top names in Internet Marketing use Macs? Visit http://internetmacmarketing.com/blog and get a FREE 75-page ebook that covers everything you need to know about running your Internet business using a Mac, iPhone and iPad. Do you like this article by Timothy Arends? Please let Timothy and myself know by leaving us your valued comments. Until my next post on Wednesday, have a wonderful week! Pinterest has rapidly exploded in popularity over the course of several months, and it now sends more referral traffic than Twitter according to Shareaholic. As a blogger, something's wrong if this doesn't cause your ears to perk up. Marketing your blog on Pinterest can be a great idea, but keep the following in mind. 1. Are You a Fit? Pinterest's primary audience consists of homemakers. The site is called a virtual pin board, but it may be just as appropriate to think of it as social scrapbooking. If your blog appeals to audiences that care about home and garden, recipes, fashion, DIY projects, inspirational quotes, self-help, home decor, and so on, it's practically insane not to take advantage of Pinterest. If, on the other hand, it appeals to a different market, you may want to invest your time elsewhere. Give the site a visit, browse the topics, and see if you can find a community revolving around subjects that matter to your blog, dive in. If not, keep an eye on the site to see where things are headed, but move on for now. Pinterest is a visual site, period. It is for sharing images and occasionally videos. If your blog doesn't host attractive or shareable images, Pinterest isn't going to do you any good as a marketing tool. You either need to have professional, beautiful photos, or you need to have images of things that people just can't resist sharing with others. Browse your topic on Pinterest and see what kinds of images are being shared there. Try to replicate the results. Even if you can't afford or produce stellar images, Pinterest can still become a powerful research tool. Find out who the top influencers are in fields related to yours, and take a look at what's up on their boards. You might not be able to replicate the results, but you can certainly learn a lot about what interests your audience. Most people use Pinterest as a source of inspiration. As a blogger, you need inspiration even more than most people, so there's certainly no harm in getting involved even if it's only for this reason. Remember, social networks are for discovery just as much as they are for marketing. Currently, you can still get "dofollow" links from Pinterest by including a link back to your site in the pin description. Originally, the photos themselves linked to the site with "dofollow" links, but these have since been no-followed. There's no guarantee that the links will continue to pass search engine benefit, but this is certainly an incentive to get involved. Bear in mind, Google is watching social sites very carefully and very well may count these links anyway, or at least measure the referral traffic. Even if there are no search engine benefits, you can't ignore what amounts to over 1% of all internet referral traffic. Once again, you don't need to be a visual site to benefit from Pinterest. The site is also a great place to network. You can use it simply to pin great photos that you find on the web. If the pin goes viral, you can send tons of traffic to somebody's site, then get in touch with them and let them know it was you who shared their content. Most of them will be more than willing to repay the favor in one way or another. Get creative, but don't just come right out and ask for a link in exchange for the pin. Similarly, you can develop relationships with influential people on interest by repinning them and leaving comments. These relationships can be leveraged in many ways down the road. As with any social network, Pinterest is just as much about listening and being helpful as it is about promotion. You don't need to be a visual site to benefit, but you do need to understand the visual nature of Pinterest and leverage it properly. Get on board early before this becomes par for the course. About The Author: Jeff Gross is an internet marketing consultant and a part-time blogger. You can connect with Jeff on Twitter @jeffkgross. Do you like this article by Jeff Gross? Please let Jeff and myself know by leaving us your valued comments. Until my next post on Monday, have a wonderful weekend! So, you've created a professional Facebook, Twitter and LinkedIn profile, but you're still not getting the recognition you expected. In the current digital age, employers tend to be more surprised when an applicant DOESN'T have a presence on these mediums than when they do. According to marketing professional and blogger extraordinaire Jim Connolly, you should tailor your blog according to your audience and no one else. It's impossible to satisfy every reader that visits your blog, and the truth is, you probably don't even want to. A message that attempts to please everyone will end up being unfocused and uninspiring, which will, ironically, have the exact opposite affect you intended by simply not interesting any visitors. Evaluate who your audience is, and who you want your audience to be. If you're in the job market, make sure to exemplify your skills and value for employers in your field through the messages expressed in your blog. Alia Haley of Today Tricks claims that one of the best ways to maximize your online presence is to utilize every social media resource at your fingertips. By simply sharing your blogging links with friends on Facebook, Twitter and LinkedIn, you have already gained exposure to three extensive audiences. 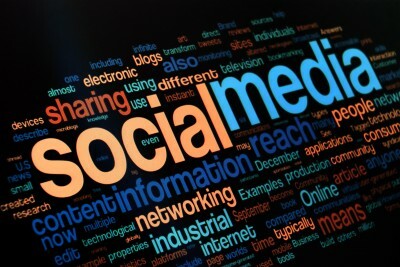 Social media not only offers the opportunity to share with your friends and colleagues, but also the networks of these individuals through link sharing and other exposure-increasing methods. However, just adding links to your other sites isn't good enough. You must maintain the sites and remain active and engage with others while updating your blog often. When offering advice to aspiring bloggers, professional blogger Darren Rowse explains that blogs should enhance the users' experience, or chances are that reader won't return. Any blogger can rehash generic information on the subject at hand, but the most successful bloggers offer interesting takes and unique information that both inspires and entertains the reader. Your online presence depends on your readership, and satisfied readers typically lead to a larger audience overall, thus increasing your online presence. A good way to discover interesting or thought-provoking topics is to navigate through Yahoo! Answers. Type in related search query keywords to see what people are asking. Be the first to answer these questions and not only will this establish you as an authoritative leader in your industry, but your blog will end up returning more views as you are answering pertinent questions. About The Author: Lindsey Harper Mac is a professional writer living in the Indianapolis area. She specializes in writing guest posts on social media and education. Currently, Lindsey is completing work on her master's degree. Do you like this article by Lindsey Harper Mac? Please let Lindsey and myself know by leaving us your valued comments. YouTube is one of the most successful and powerful social media platforms on the web, and it has long been recognized by brands and marketers as an essential tool for multimedia marketing strategy. YouTube is not just a platform for uploading and watching videos - it is also a vibrant and fast-moving community of diverse users with considerable consumer power. Like Facebook, YouTube offers brands and marketers a strong platform for opening and maintaining dialogue with their potential customers, enabling brands to make the customer experience deeper and more personal. 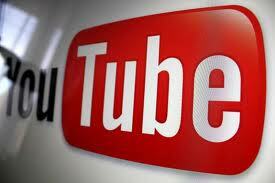 Here are five tips for using YouTube effectively as part of your marketing strategy. It doesn't matter whether you are a highly successful consumer brand or a brand new company marketing B2B, your priority should be creating great content that will engage customers. Think beyond conventional video content and concentrate on creating engaging and compelling content that will start discussions with your customers. Try to highlight your product or service in an interesting or unconventional way. Content doesn't necessarily have to go "viral" to be a success - most of your customer engagement will be built through the so-called "long tail". Consider video as an alternative way of providing content - if you can write it as a blog post, you can make it into a video. Channels which simply post videos can hope to achieve a certain degree of success, but the best way to build the reputation of your brand and boost sales is to use videos as a vehicle for engaging directly with customers. Encourage followers to post video responses to your content; and respond to customer engagement in a timely and direct way. Old Spice's interactive YouTube campaign, which involved creating more than 180 video responses to commenters, boosted the company's sales by 107% in just one month. Key to a successful YouTube marketing strategy is ensuring that all of your content and engagement is in keeping with your brand's unique "voice" and the goals that you have for e-marketing. If you want to establish your brand as helpful and customer focused, how-to videos and responses to questions are a good way to do this. Be professional, friendly, and concentrate on providing the highest level of service. View YouTube as another channel for speaking to your customers. Create playlists and feature the best of your content in your channel's right column. Your aim should be create content on YouTube which addresses the needs of your audience. Create playlists of your most popular videos so that they can be found by new users and shared by existing users as quickly and easily as possible. YouTube itself offers marketers some great analytics for learning about who is watching your videos and how they found the content. Find the content which most resonates with your target customers. Key to a successful marketing strategy on YouTube is discoverability. To help more users to find your videos, there are three main areas to focus on. Firstly, put your targeted keywords in the video's title. An effective trick is to put a colon after these first keywords and write your title in a different way after it. Secondly, start your video description with a complete URL and make your description as keyword-rich and descriptive as possible. URLs throughout the description will also help. Thirdly, include all your target keywords and any related keywords in the video's tag field. About The Author: Sam is a blogger with a background in Internet marketing. He has learned over the years that by having a well designed landing page, sales and conversions are bound to increase. Do you like this article by Sam Mauzy? Please let Sam and myself know by leaving us your valued comments. 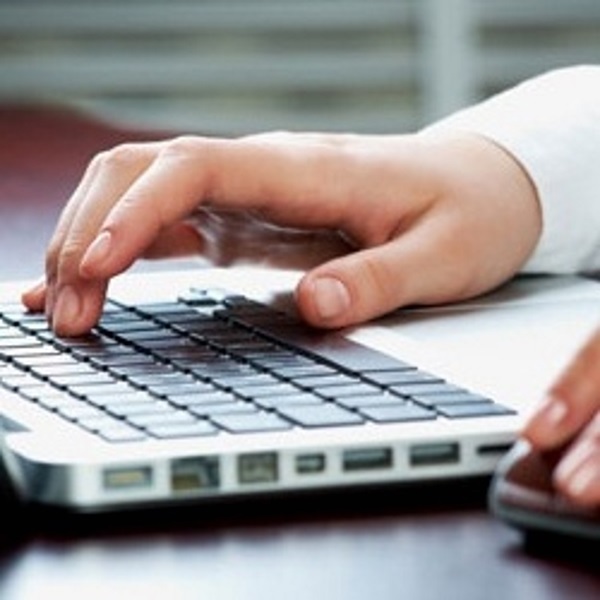 Could Help Desk Software Improve The Efficiency Of Your Business? Improving the efficiency of a small business is almost always a concern. The margin of error can be so small that any advantage that can be gained is important. Software called help desk could be the key for a small business to improve several aspects of its operations, although many business owners are unaware of what it could do for them. Below is an outline of how this relatively new technology can help small businesses improve their performance. Communication - When customers call a business with a problem or question, they are frequently placed on hold while the answer is sought. 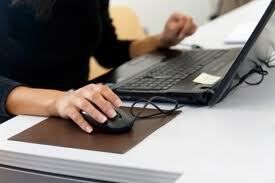 With help desk, they can e-mail those concerns, which are then delivered to the proper department. When the answer is found, the patron is contacted by a reply e-mail letting them know the situation. Centralized information - If a customer decides to call with a concern, the service representative can easily access a data base containing information relevant to the issue. This information can be searched by keyword and speeds the ability of employees to help customers, without the need to pass their call from one department to another. Problem solving - Customer service agents are able to work on more than one problem at a time and have instant access to data. Many times a problem will occur more than once, and workers will be able to find what the solution was and utilize it in the current situation. Prioritizing - The software can also prioritize the order in which tasks should be performed, allowing employees to more quickly react to issues. Due dates - Help desk aids employees by keeping track of when orders or projects are due and can send notifications informing when a deadline is nearing. Auto tracking - Trouble tickets can be automatically sent to the correct department, eliminating the possibility of an issue being sent to the wrong employee and shuffled around the company until it finds its way to the right one. 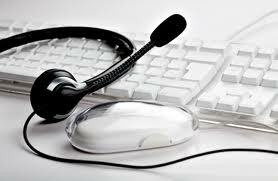 Adaptable - Help desk software can be geared to each company's specific needs. Many products are now cloud-based, meaning the system can be accessed from anywhere there is an Internet connection. Employees can work while travelling or even from home. Trust - As customers learn the company is able to quickly and efficiently handle issues, they will trust it more and may pass the word along to friends. Data - Help desk can help gather information about customers that can be used to attract new buyers. Business owners know a more efficient company can result in lower expenses and improved profits, but not every owner realizes how to go about making the necessary changes. Help desk software makes the process easier and can improve the productivity of a company in ways the owner never even imagined. 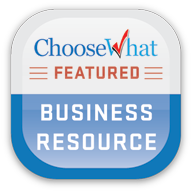 About The Author: Sarah Peterson writes for a website that compares different types of help desk systems and helps small businesses find the right product for their particular requirements. Do you like this article by Sarah Peterson? Please let Sarah and myself know by leaving us your valued comments. Articles coming next week: 5 Great YouTube Marketing Tips and Tricks to Engage your Audience on Monday, Top 3 Blogging Tips for Increasing Internet Presence on Wednesday and Why Choose Email as a Marketing Tool? on Friday. It is hard to believe that the idea of social media was invented less than a decade ago. Facebook was launched in 2004, YouTube was formed in 2005 and even the online marketing powerhouse Twitter was conceptualized in 2006. Any small business looking to promote a successful brand image must implement an extensive social marketing campaign, but trying to gather Twitter followers and Facebook "likes" can be exhausting. A stagnant online strategy can become a sinkhole for limited funds and stop a start-up enterprise in its tracks. However, marketing managers should stray away from internet promotions and instead focus on the tried-and-true results generated by traditional approaches such as promotional products. Social media and promotional marketing are about as unrelated as apples and doorknobs. One deals exclusively in the virtual environment of the internet, while the other provides physical objects that are meant to be given out in person as business gifts. But, if the two can be successfully connected, the potential profit margins are incredible. 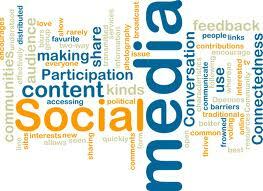 A small business owner should keep the following things in mind when researching a social marketing endeavour. As with any promotional item, it is generally advisable to select an object that will provide high visibility through a wide variety of functions. These include items such as custom stress balls, promotional pens, custom coffee mugs and logo usb drives. There is no target audience for these corporate gifts because nearly everyone can find a use for them, which can be a huge advantage from a branding standpoint. Therefore, these are some of the best items to incorporate creative links to Facebook pages or communication in the form of a Twitter hashtag. The social messages that are included on everyday promotional products need to be carefully scrutinized to ensure that they remain relevant, because there is no way for a hashtag to be changed once it is emblazoned upon a logo tote bag. For example, the message should avoid commenting on a current event. A company should always strive to remain objective to avoid being associated with potentially offensive news, which could render a promotional product unusable. Social media thrives on creativity, so a promotional advertising strategy should project an air of ingenuity. While still extraordinarily useful, promotional products that incorporate hashtags are not the only way to bridge the gap between the two marketing strategies. For instance, corporations could give out free wall calendars to the first fifty people who "like" their Facebook page, or a competition could be organized to see who can post the most creative display of a company's services. Social media contests can generate an online buzz that is extremely valuable, and the more innovative, the better. Companies looking for a cost-effective way to promote their services need not worry about a budget when forming a social media website, because most of these can be created at no cost. This financial freedom can open up space for an investment in effective marketing tools such as promotional products. Facebook, Twitter, YouTube - there is no telling how long these incredibly useful marketing websites will remain free, so small businesses should jump on the social media bandwagon immediately. Promotional products are a great way to jump-start the solicitation of followers and website traffic, and can result in a significant return on investment. About The Author: Check out Myron.com and Myron's blog to learn more ways on how you can promote your business and really stand out in the crowd. Starting a professional blog can be one of the most effective ways to grow a customer base and build client confidence in your company and your products at the same time. One of the most effective marketing aspects of the Internet is that you can reach millions of people simultaneously with important information about your company. When you start blogging and following good Internet marketing practices for promoting your blog, then you will definitely begin to see an increase in web traffic and company revenue. You can use topics such as new product updates, new company information or answers to customer questions as a way to add new content to your blog every day. People will not visit your blog if you do not have something new to offer. The blogs that add relevant and new content on a daily basis will get the most traffic and the most customers. Your blog should be tied in to your social networking sites so that you can use those sites to announce new blog posts. Most blog hosts also have communities of their own where you can read other people's blogs and leave comments. The more active you are in promoting your content and interacting with other people, the more traffic you will draw to your blog. When you put up new blog posts, be sure you end each post with the contact information that your clients will need to buy products from you. Make sure that the link to your main website is prominently displayed on the front page of your blog so that clients can easily find it. When you write articles introducing new products, put links in your post that will take customers to the product information and ordering page on your website. Every post you make on your professional blog should always be selling your products. Many business professionals and company owners that have products complimentary to yours have blogs. You need to find those blogs and start leaving constructive and positive comments that everyone can see. Contact owners of blogs that complimentary to yours and discuss the possibility of putting guest posts on each others blogs. For example, if you sell music CDs then you should contact the owner of a blog that sells stereos and see if you can post a blog on his site and he will post one on yours. If you do this with enough complimentary companies, your audience of potential clients will grow substantially. When you are discussing the manufacturer of a product that you sell, then include a link to that manufacturer's website in your article. Be sure that all of your links are pertinent to your topic and that the links work. The more pertinent links that your blog has, the higher it will move up on the search engine results pages. Search engine optimization, or SEO, is an Internet marketing method that uses keywords to help improve your chances of having your content appear on the results pages of major search engines. Use the keyword search tools that are available on each of the major search engines and determine what the most popular keywords are for your industry. Then you need to make sure that between three and five percent of the content on your site is these keywords. Use the keywords in complete sentences that are structurally correct and spread the keywords out in your text. About The Author: Scott Morgan is a board certified Austin divorce lawyer who regularly blogs on the subject of divorce and family law. You can read his blog at AustinDivorceSpecialist.com. Do you like this article by Scott Morgan? Please let Scott and myself know by leaving us your valued comments. Other articles coming this week: "Using Promotional Products to Support a Social Media Marketing Campaign" (Wednesday) and "Could Help Desk Software Improve the Efficiency of your Business?" (Friday). I hope you all had a wonderful weekend. Today, I'm delighted to introduce you to a guest post from Divya Rawat. Divya is an established consultant who regularly blogs at iNetZeal where she provides tips and tricks on how to improve virtual presence. She also has a keen interest in e-commerce. Thank you Divya for guest posting on Derek's Home and Business Blog and I'm sure my readers will thoroughly enjoy your post. We shall discuss ways to write effective attention grabbing titles for your blog or regular articles in this post. While writing for a blog, you have to be extremely creative. The only thing that's driving a reader to read your entry is because he or she should be curious to know what's in store. It's important to generate an interest with your title. Say something different, make an analogy, stays something out of the blue! Your title should SURPRISE the reader. If someone is reading a blog, even if for some tips, he/she would like a "cool" title. The reason is that everyone can write the "technical" titles, but only a smart writer can write cool titles for technical topics. Simplicity always rules. Being "cool" doesn't mean using jargons. You don't have to brag with synonyms or words you have picked out of the dictionary. The majority of readers are simple people. To connect with them, you have got to be simple. Once again, everyone can be serious, can you be funny? Say something witty or humorous and you'll have the reader curious to know what's in store. He or she will be interested to read; and if you've managed to put a smile on his/her face even before starting the article, then you sure have a reader! And finally, your title should only give "hints" about the content and not give away the entire topic. If this is an article or blog which isn't targeted for SEO activity, then it's certainly going to win with hints. A really cool way to make a title is to relate your subject with well known quotations or proverbs and add your pun to it. Pick up a famous quote and change it to your subject. Add a line about what you have in the blog post. The reason this works is that the reader connects to the quote and then identifies the difference in it. This simply encourages him or her to read further and find out what the "Change" is. However, there's one more angle here. You may not be all that ambitious as yet, but being a blogger, in the long run you could make money or use your blog to kick start a small company of sorts. 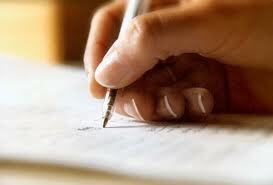 You could be a provider or writing services or simply capitalize on your reader base to make profits. What would be needed here is a slight SEO friendliness. This would mean using keywords in your titles, giving away a wee bit of information about the article and small rules like these which help in the optimization of your work in a way that the search engine spiders also become fond of you! So go ahead, wear your thinking caps and try these tips on your own and write back to tell me if it works for you. Good luck! About The Author: Divya, an established consultant with an SEO Company, has a keen interest in e-commerce. She is a regular blogger at iNetZeal, providing tips and tricks to improve virtual presence. Do you like this guest post? Please show Divya your support by leaving your valued comments.